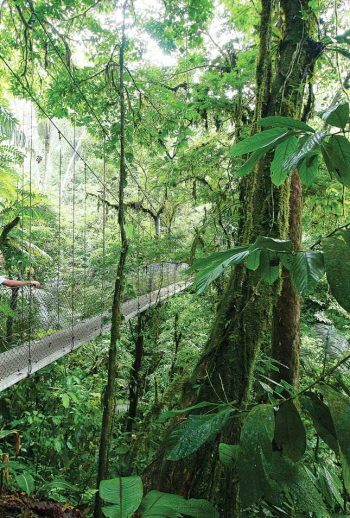 Zip-lining through rainforests, marveling at volcanoes and kayaking on Lake Nicaragua: this adventure has something for everyone! From kayaking along the Isletas of Lake Nicaragua to exploring the jungles surrounding Mombacho Volcano, this adventure will have you “oo-ing and ahh-ing” at every turn! Discovering Nicaragua’s first national park will give you the chance to observe a dormant volcano and an active volcano up close! Zip line just above the treetops in one of Nicaragua’s most beautiful nature reserves. Relax on the white sand beach at Morgan’s Rock, taking in the wide-open Pacific Ocean views. Take a shot at photographing the abundant wildlife of Ometepe Island. From ultimate relaxation to top-notch adventure, Nicaragua has what you’re searching for! Home to countless volcanoes, a spectacular coastline, the two largest freshwater lakes in Central America and rainforests teeming with flora and fauna, it’s no wonder Nicaragua has been designated Central America’s hidden treasure. Join our expert guides as they unwrap the historical, cultural and natural intrigues of this stunning Latin American country on our carefully-crafted, seven-day itinerary that guarantees your youngest and oldest adventurers will fall in love with the sights, sounds, flavors and fun of Nicaragua. Of course there’s plenty of time for that hammock and cocktail for you, too! Sink your toes in soft sand, practice some yoga or simply kick back in a hammock once in awhile – after all, it’s your vacation, too! The volcanoes: While Masaya Volcano is still active, it's only had two lava flows since the 16th century. Who wouldn't want to explore it? Ometepe Island: This unique bit of paradise in Lake Nicaragua is the largest island in a fresh water lake in the world. The cuisine: Try Nicaragua's national dish, Gallo Pinto, which is made up of rice, beans and other local ingredients. Today you will arrive in Managua’s International Airport. After completing the immigration formalities, our driver and English speaking tour guide will be waiting for you at the exit of the airport to transfer you to Granada, about an hour’s drive away, where you’ll arrive to Hotel Plaza Colón, your accommodation for three nights. Our Boutique Hotel is located in front of the main Plaza of colonial Granada. The colonial architecture and precious wood balconies oriented to the park are the main essence of the hotel. We have been welcoming international travelers for over ten years and are the only Hotel certified in sustainble practices by the Rainforest Alliance in the region. Antique furniture, room service, and kind attention of the staff are just a part of your stay. A coffee shop and wine shop are within walking distance. No visit to Granada, one of the oldest colonial cities in the Americas, is complete without a tour of the city’s historic center. On your guided tour you travel both on foot and by traditional horse-drawn carriage to explore interesting sites including the San Francisco Church, San Francisco Convent, Merced Church and Xalteva Church. Next head for the ChocoMuseo to learn everything about chocolate and cacao. Your workshop covers the entire chocolate making process, starting from the cocoa bean (organic and from Nicaragua), and ending with your own handmade bar of chocolate! At the twilight hour, visit the Masaya Volcano and witness the wildlife at their most active time of day. This morning, navigate the calm waters of Las Isletas on Lake Nicaragua, keeping an eye out for the different species of birds and wildlife that inhabit the lake and its surroundings. Pass by local fishing communities where you get a glimpse of their daily island life. After lunch and a drive to the top of Mombacho Volcano, we’ll explore the scientific station and Crater Trail on the lookout for howler and white face monkeys as well as sloths and the endemic Mombacho salamander in the dense cloud forest. Head down the mountain for an exhilarating zip line tour that features 11 zip lines and 17 platforms. After breakfast, transfer to the port of San Jorge (1 hour, 45 min) to hop on a ferry to Isla de Ometepe. The island of Ometepe is situated in one of the world´s largest fresh water lakes, Lake Nicaragua. Ometepe has served as home to indigenous tribes and cultures for many centuries, of which the many pre-Columbian petroglyphs are silent witnesses. On arrival at the island, we start our adventurous tour of Ometepe’s natural treasures at Peña Inculta, a reserve where groups of white-faced and howler monkeys live. Afterwards, visit the historical coffee hacienda Finca Magdalena, where you can get an insight into the process of organic coffee cultivation. Take a short hike to some petroglyphs (rock carvings) in the midst of nature. You can have lunch overlooking the beach and continue to Ojo de Agua, a natural pool where you can relax before heading back. The San Juan de la Isla Lodge is located on the Island of Ometepe and is a great choice for visitors who wish to feel at one with the island nature and culture. Comfort, privacy, great lake and volcano views, authentic Nicaraguan hacienda style, a long sandy beach and warm water all invite the visitor to make San Juan de la Isla the first choice for a beach front lodge Ometepe Island. The volcano lodge’s beach-front location is the ideal base for swimming in Lake Nicaragua’s clean, warm waters. Other activities include hiking inside nature reserves, mountain biking, horseback riding and volcano climbing. Take the ferry back to San Jorge and continue your transfer to Tola. We’ll spend the next two days exploring this idyllic getaway at your leisure. The Tola region, commonly referred to as the ‘Nicaraguan Riviera’ or ‘Costa Esmeralda’, is an idyllic getaway with isolated beaches and dramatic coastlines. Located off of a long, partially paved road just west of Rivas, the beaches of Tola have maintained quiet tranquility in comparison to other Nicaraguan beach towns such as San Juan del Sur, making this destination perfect for those who wish to unwind and relax. Visit the small fishing villages of Gigante and Playa Guasacate. Go horseback riding, fishing, surfing, or just hang out on the beach. Mukul -the Mayan word for secret- is a luxury boutique hotel, spectacularly set where the jungle meets the dramatic coastline. The resort offers space and privacy in a style that fully embodies and compliments the natural surroundings. Views of the ocean come standard. Craft furnishings and decorations come straight from Nicaraguan artisans – carved native teak tables, sugarcane twig headboards and rum barrel staves. Amenities include a private swimming pool, private staff, a spa, a beach club with a seaside restaurant and a playground with onsite nannies and an 18 hole golf course. Depending on your flight schedule, our private transportation will pick you up at your hotel and shuttle you to the International Airport in Managua. * This trip is operated in partnership with Vapues Tours. **Trip itineraries are subject to change without notice due to road, weather and other factors outside of our control, for the safety and enjoyment of our guests, as deemed necessary and appropriate by Austin Adventures and Vapues Tours. Your trip begins with your arrival in Managua at Nicaragua’s Augusto César Sandino International Airport. Your pick up time will coordinate with your flight information. After passing through Customs and Immigration, take the left hand side exit and you will see a Vapues Tours/Austin Adventures representative, who will be holding a sign that says your name on it. Your guide will take you to your first night’s hotel, Hotel Plaza Colón, about an hour’s drive away in Granada. Your trip ends with a drop-off at the Managua International Airport three hours before your flight departure. Hiking: Easy to moderate hikes ranging from 1 to 2.5 hours (approx. 1-3 miles). Sightseeing: Enjoy the beautiful views at the top of Mombacho and Masaya volcanoes, in the city of Granada, and much more. Kayaking: 2 to 3 hour kayaking tour among the islands of Lake Nicaragua. Guided and no experience necessary. Zip Lining: Flight between the treetops. Equipment provided and no experience necessary. “Other” activities: Morgan’s Rock and San Juan del Sur have many activities to choose from ranging from snorkeling to whale watching to surfing (and much more!). These activities are not included in the trip price and are considered an extra cost. Vapues guides are experienced facilitators and regional experts. They will take the time to explain the details of each activity, answer any questions and demonstrate the use of all equipment. Each activity has been carefully planned to include options for all levels. Most importantly, your guides will help you select the distance that’s right for you. Nicaragua, “the Land of Lakes and Volcanoes” is the largest country in Central America and has the lowest population density. The name Nicaragua comes from a combination of two words, “nicarao” and “agua”; the Nicarao are the Indian tribe that was occupying the shores of Lake Nicaragua when the Spaniards arrived in the 1500’s, and “Agua” is the Spanish word for water. Nicaragua’s abundance of biologically significant and unique ecosystems contributes to its designation as a biodiversity hotspot. Walk the attractive streets of San Juan del Sur lined with charming homes and store fronts built of wood painted in vibrant colors. Visit the “Mouth of Hell” as you experience a hike through Masaya Volcano National Park, the first national park of Nicaragua. Explore Mombacho Volcano Nature Reserve, one of the 76 protected areas in Nicaragua with an active stratovolcano, which hasn’t shown any significant activity since its last eruption in 1570. Come explore Nicaragua with the experts in adventure travel! Meals as indicated by detailed itinerary (B = Breakfast, L = Lunch, D = Dinner). English-speaking, professional tour guide during guided tours. All transfers and transportation during the trip. All entrance fees for the visits as per description. Water on board for transfers and excursions. Austin Adventures T-shirt, luggage tags, and luggage tags. Gratuities to Austin Adventures/Vapues Tours guides/drivers. Tips for chamber maids, bellboys and local guides. Meals not listed in itinerary. Tourist card entering Nicaragua (US $10.00 –subject to change). Extra activities at Morgan’s Rock.